About "Message Remix 2.0 Purple Swirl (Black Letter Edition)"
Features: verse-numbered paragraphs; expanded book introductions; maps; topical index; imitation leather cover. 13.2 x 18.1cm. The Message//REMIX 2.0 features verse-numbered paragraphs, expanded book introductions, maps, and a topical index. 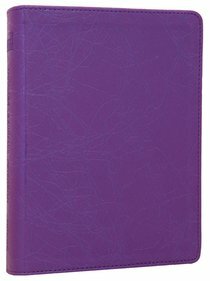 Compact in size, this student Bible is versatile, is easy to read, and goes everywhere.